I can't believe it's Friday already! This week just flew by, even with an extra day in it! I, of course didn't get nearly all I wanted to get done, even with the extra day. I do have another little finish to share, though. 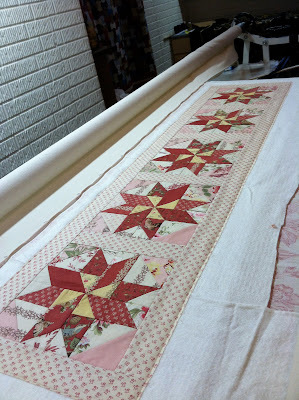 Remember when I quilted my little tumbler runner, I said I also quilted something else on the same backing?? 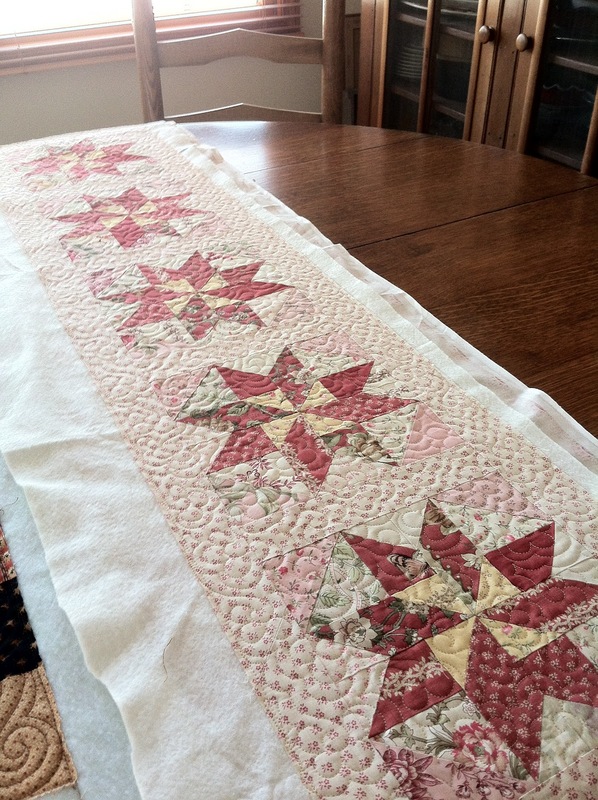 Well, I quilted Endless Summer, which was a project from the Le Petite group from last year. Here it is bound and washed. Nice and crinkly. I love how it turned out! It's the perfect size for my kitchen island. I chose to quilt a mini version of my allover freehand flower that I love to do. You can see the design much better here. Not bad for quilting at one o'clock in the morning!! Loading two small projects on one backing is the best idea ever. 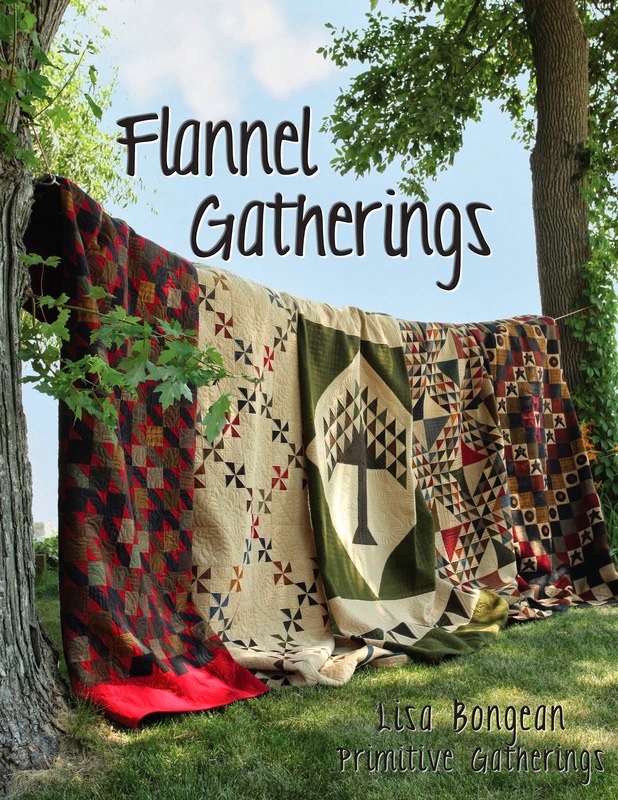 The pattern is called Endless Summer by Pam Buda of Heartspun Quilts. I modified the original pattern to make mine into a runner. I pieced my Endless Summer nearly a year ago and posted it here. This is the original design. I can't tell how nice it is to be able to enjoy something that I pieced and quilted...finally!! Some before photos. The fabric is Pom Pom de Paris by French General. Another favorite of mine!! I tried out another new batting too. This time I used Dream Cotton in the Request, which is the thinnest loft. This I would not use again. I think it's a wonderful batting, but not ideally suited for longarm quilting unless you double batt it. I didn't feel it was thick enough, therefore the stitches didn't look as nice as they usually do. I felt like I had to tinker with the tension a lot. Dream Cotton in the Select (mid) loft was awesome to quilt with and definitely a better choice, in my opinion. It's Friday during Lent. You know what that means...pierogi time is here!!! :-) Hope everyone has a great weekend! It's very beautiful Linda! How nice for you to be able to quilt some things for yourself too! Just love this runner and how perfect is it for your island ! 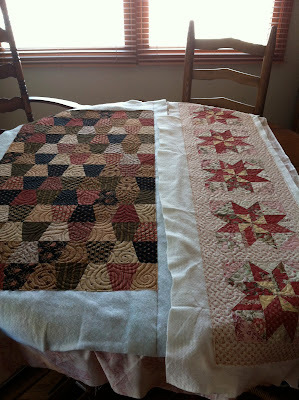 You quilting always amazes me , I would love for you to machine quilt my quilts ! I loved this runner a year ago when you showed it and even more now! 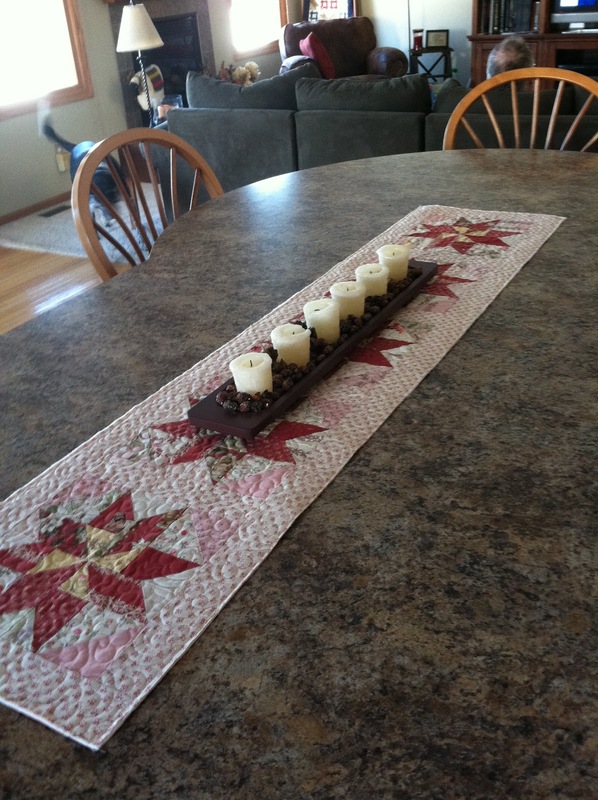 Thanks for sharing the finished product. I went out and bought fabrics to make one of my own after seeing yours. A gorgeous runner and the quilting looks great! I forgot it was friday, I am dense lately. 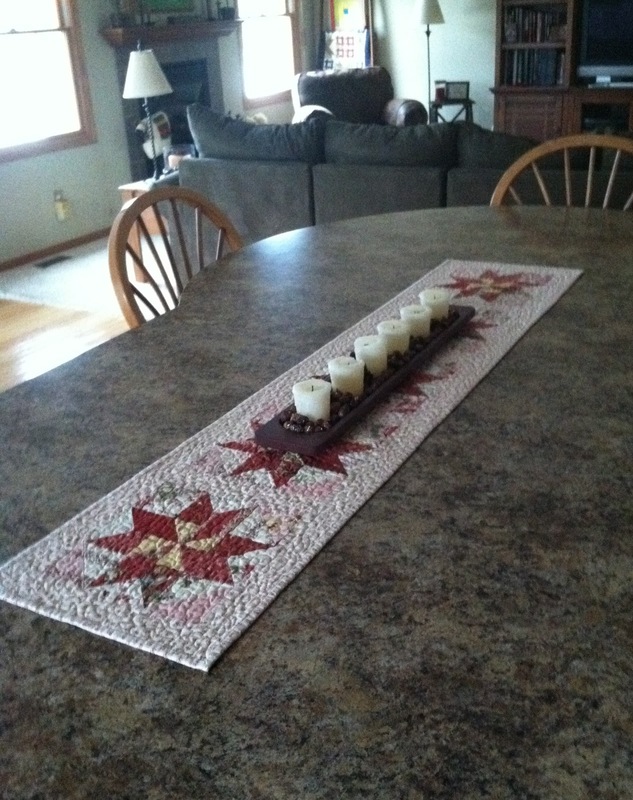 Love your runner, something I need to make for my bureau in the dining room. Your quilting is beautiful! I also love Pom Pom de Paris, I haven't used my fabrics yet....it looks beautiful in your runner. 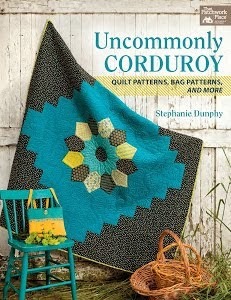 Very pretty and I like your freehand allover quilting. Beautiful! It looks so nice on your island. I love your little free hand flower pattern. So cute! As usual, looks great. And it looks great on your island. Love pierogi! jealous! That looks lovely as a runner. Thanks so much for sharing your thoughts on wadding, I find that really useful. I have used the same one for some years, but the last roll I thought the quality had gone down, so I now have some bamboo to try, then I'll try any others you've recommended, and see which I like. Lokks beautiful - and what a wonderful spot for it. So glad to see you working on your own projects. Love the freehand flowers. 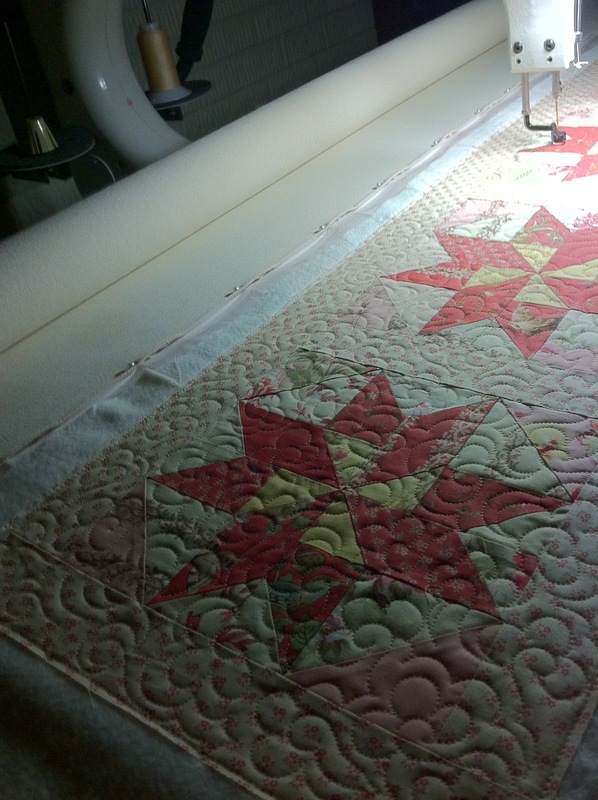 I agree Request batting is not good for longarm quilting but is great for hand quilters. I like Select too but can't wait to hear what you think of Deluxe!! How beautiful! I love the design and the fabrics you used. Thanks so much for sharing with us the information about the design and which fabrics you used. Just gorgeous! Perfect! 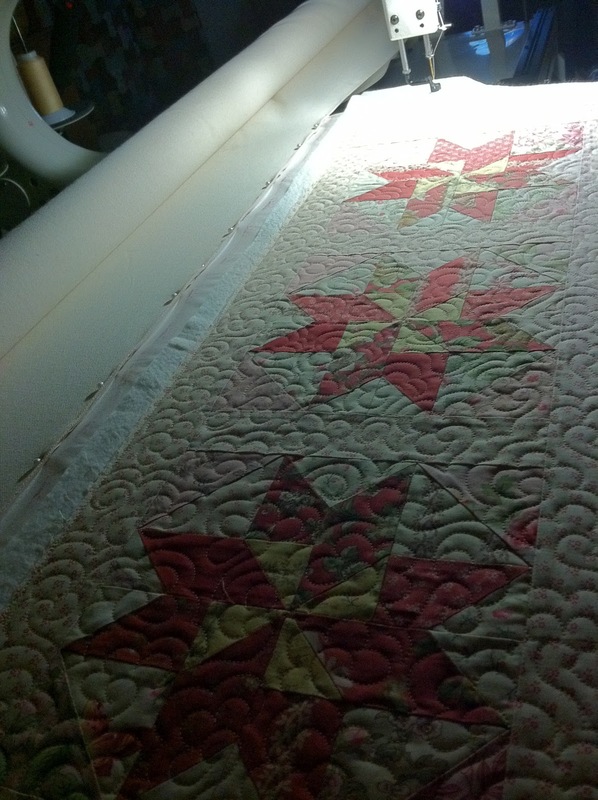 great idea to put little quilts on the machine at the same time.